Cinderella Coins of Bophuthatswana: Can anyone help me here please? Interestingly enough, whilst many stamps were issued for the former Bantustan of Bophuthatswana, only two coin “types” were minted being the Lowe and the Nkwe. Both these coins were “bullion” (gold and platinum) coins minted in proof condition only and not issued for general circulation. Both were struck to commemorate the 10th anniversary of Bophuthatswana's independence in 1987. According to an internet source, the gold Nkwe has the following Catalogue number: X1 (Formerly listed as KMM1) and the platinum Lowe the catalogue number of X2 (Formerly listed as KMM2). I know that the catalogue number KMM refers to the well known world coin catalogue of Krause & Mishler BUT what does the X1 and X2 catalogue numbers refer to? I presume there is a world coin catalogue for coins of “alternative” (not real) countries – in philatelic terms they are called Cinderellas - but does such a catalogue exists for “Cinderella Coins”? If not, to what source does the “X” prefix then refer to? 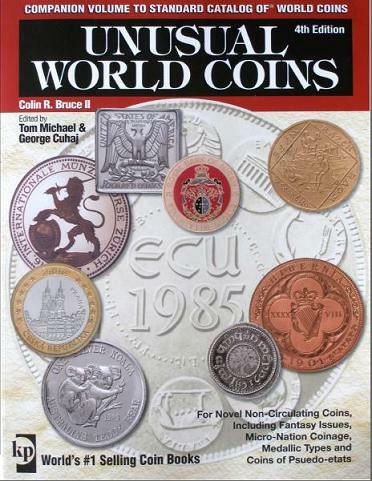 The X however refers to the Krause Unusual World coins catalogue - there is a 2005 edition avaliable. The cat covers all fantasy coins, never circulated etc etc etc.